Darwin Financial Services is a long standing ‘boutique’ financial planning practice, established with a mission to create lasting relationships with a diverse clientele. This multi award winning practice is one of the largest single owner planning practices in Australia. Darwin Financial Services has maintained a highly regarded reputation nationally and locally for its distinctive style and quality in financial planning advice. Specialising in superannuation and retirement planning, Andrew and the dedicated team at DFS believe that early planning for retirement is essential. Retirement should not be your ‘withdrawal’ from life but the catalyst to a life that is ‘Discovered by your Design’. To complement this specialty, a range of services have been developed to cover the ever-changing individual objectives of their emerging clientele. These include comprehensive “Mid Life” financial consolidation plans. As the Managing Director Andrew is the Principal Planner for Darwin Financial Services and has over 25 years’ experience in the Financial Services industry, providing professional financial planning advice and solutions to clients since 1985. Born and bred in Darwin, Andrew has a close affinity with the Territory business and sporting community. Andrew and wife Jo have raised their 2 daughters in Darwin, and firmly believe Darwin's distinctive lifestyle and culture gives us all a firm footing in life. With over 20 years’ experience in the financial planning industry Anthony has been lucky enough to hold positions interstate and throughout “The Territory” that has enabled him to assist clients in numerous circumstances with their financial requirements. Anthony is an Associate Financial Planner member of the Financial Planning Association of Australia and hold a Bachelor of Business to compliment the Diploma of Financial Planning. Anthony joined Darwin Financial Services in 2017. He will further his desire to progress into wholistic financial planning. Roger joined the Darwin Financial Services team in February 2013 as an Accredited Mortgage Consultant after 40 years in the banking and finance industry. He has a Diploma of Finance and Mortgage Broking Management through the National Finance Institute, and is also a member of the Mortgage & Finance Association of Australia. Roger has extensive residential and commercial lending experience, holding delegated lending authorities for over 20 years. Roger is an Accredited Mortgage Consultant and as a credit representative of AMP Financial Planning is authorised to provide mortgage and finance consulting activities, including assisting you to apply for a loan. Subject to meeting the lender’s credit criteria, he can arrange loans from a range of approved lenders on AMP Financial Planning's approved list. Tracy has over 25 years of experience in the finance industry and joined the team at Darwin Financial Services in 2008 as Senior Para-Planner. Obtaining an Authorised Representative status completes another stage of her development in the financial planning industry with an enhanced knowledge base that supports her new role of Manager Para-planning and Compliance. With over a decade in the financial planning industry, Jordan relocated to Darwin from South Australia in 2018 where she worked as a Financial Planner for a well-established private firm specialising in holistic advice. Jordan completed a Business Double Degree (Applied Finance and Management) with the University of South Australia in 2014, before obtaining an Advanced Diploma of Financial Planning and Aged Care accreditation in 2016. The Darwin Financial Services team pride themselves on consistent and friendly communication, recognising the business partnership. Each member of the Darwin Financial Services team is overtly conscious of meeting the individual needs of the people whose lives they touch now and into the future. 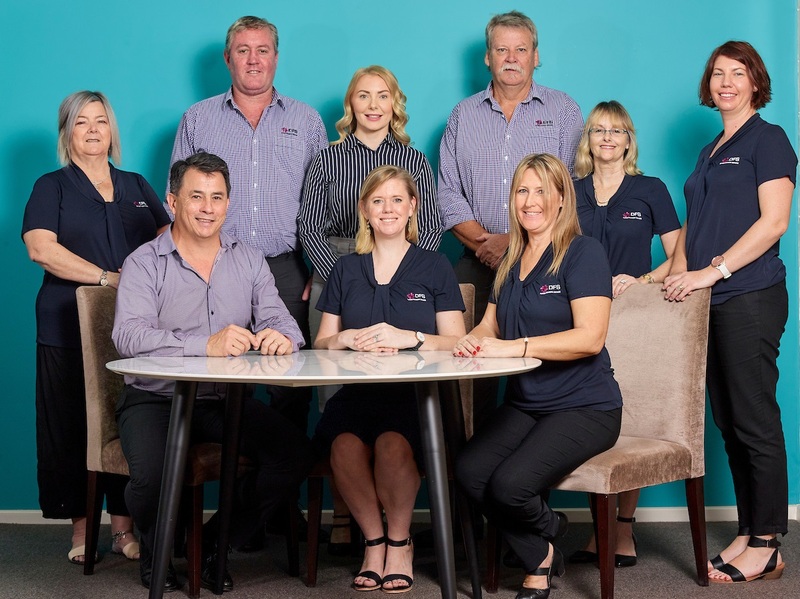 It is this connection with clients that makes Darwin Financial Services not only a remarkable place to work but a satisfying client experience.